Then we celebrated their accomplishments on a sunny, crisp fall day at NYC’s ThreeSixty in Tribeca, at an awards party hosted by very funny and quick on his feet YoungHollywood host Oliver Trevena, with internet sensations Randy Rainbow (have you seen his “interview” with Melania?) and the Gregory Brothers (“we have a passion for pixels”), and WWE’s intrepid host Cathy Kelley on hand to present. In their speeches, winners named their favorite theme songs. Some choices? Tom Petty’s “Won’t Back Down,” “Wannabe” by the Spice Girls, Billy Joel’s “I Go to Extremes,” Pharrell’s “Happy,” Whitney Houston’s “I Want to Dance With Somebody,” MC Hammer’s “You Can’t Touch This,” and David Bowie’s “Heroes,” among others. From a series about sneaker shopping to a touching web video about an NFL star, content has never been more creative or diverse. But in a crowded field, it’s no longer enough to have a great story. Creative and forward-thinking distribution and social media strategies, as well as personalized experiences, are all necessary to meet shifting consumer behavior and expectations. 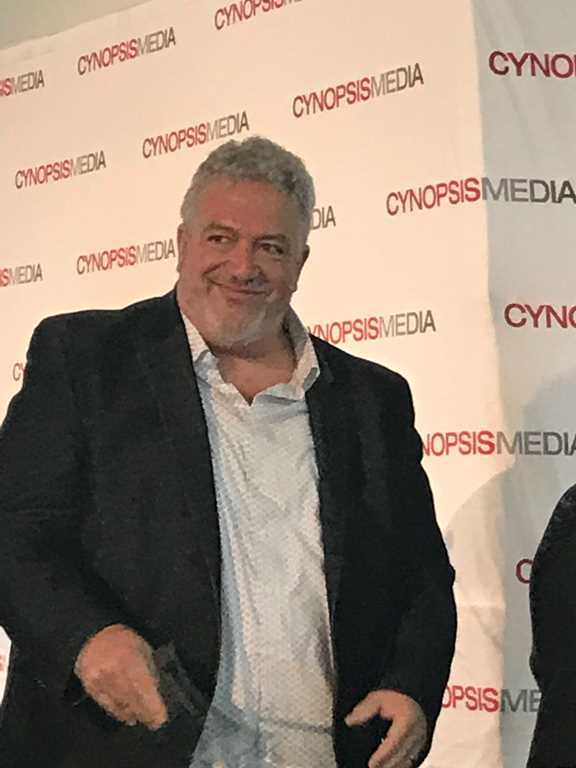 The Cynopsis “It List” includes a CEO revolutionizing kids’ content and a Creative Director whose Special Olympics content reached millions, while among Model D winners are a Food Network series that is tops in its category and a Red Bull app rated best-in-class. Advertising, too, is being reshaped, as young viewers demand authenticity and transparency, and ad blocking necessitates new tactics to engage with consumers. 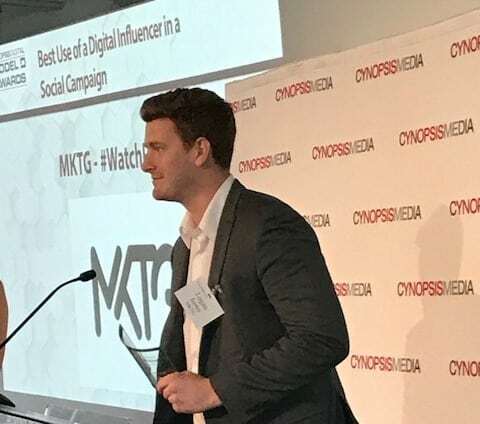 More personalized advertising means the kinds of sophisticated data and insights found from “It List” winners like the Director of Multiplatform Research and Emerging Measurement who’s at the forefront of the Total Audience Viewership. And branded content, like the ingenious integration of Subaru into an IFC series, is changing the perception of advertising. Thanks to digital, the economics of the media industry have undergone a seismic shift. That presents a landscape of both opportunities and challenges – we’re proud to honor an outstanding group of companies and executives who are leading the charge. ABC & ESPN’s The Bachelor Fantasy League drew over 600,000 players—70% of whom were under 35—who watched over 30% more episodes and over 59% more minutes of the show per household. Working with 10 of the 10 largest media companies in the world, Adobe Primetime delivers the biggest events in the world. During the Rio Games, Adobe worked with NBC sports to create what was the largest single ‘dynamic ad insertion’ in a live broadcast at the time. Hyundai’s 2017 NFL Draft Content Series garnered 70 million organic impressions and 2 million content views at NFL.com, and over 500,000 across Hyundai and all four players’ social & digital. Bleacher Report’s Small Ball created buzz, resulting in more than 80 million impressions and 25 million cross-platform streams to exceed the initial goal set for the program. In 2016, Channel Factory generated over five billion video views and worked with more than three hundred Fortune 500 companies, including Kraft, NBA, Sony, Toyota, Intel and Discover. “E! News” correspondent and host of E! 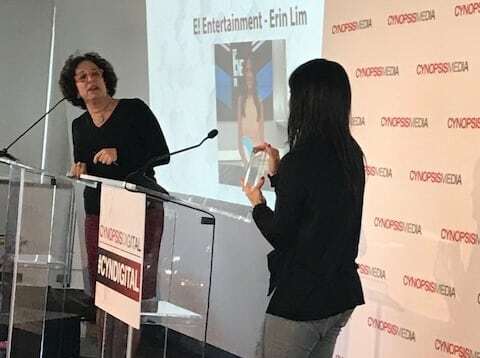 News’ “The Rundown,” Erin Lim has cross-platform appeal. Lim serves as a panelist on digital series “Life From E!,” was the E! Live from the Red Carpet correspondent for the first time at the 2017 Billboard Music Awards, and is a correspondent on “Live from E!”. First Media created a 3-video series for Bed Bath & Beyond, when the company sought to position their brand as experts in “Making A House A Home.” The first video had the highest amount of engagements of all branded videos on Facebook in July in its first 7 days. “Food Network Finds” combines Facebook Live broadcasts, live video turned into short form native video, Instagram stories, and Instagram lives. In June 2017 for the third consecutive month, it was ranked first in the food and drink category. GlassView Advertising Exchange promoted the LA Tourism & Convention by launching 3 videos to increase traffic to the group’s website. The completion rate was 95% above the industry average, with a clickthrough rate 84% greater than the industry average. This year Hulu changed the relationship between viewers and advertising, resulting in almost 80% of viewers watching ad-supported on-demand offerings. The first 7 days after “The Handmaid’s Tale” release, it became the most-viewed premiere of any other series original on Hulu. Portlandia’s Car Notes integrated the Subaru brand into content that matched the tone of the fan favorite characters Kath and Dave, and the feel of “Portlandia.” The sponsored web series, featuring Subarus in every scene, garnered 819,000 views on Facebook alone. Intersport is a Chicago-based Marketing & Media Solutions Company with a 30-year history of creating award-winning ideas, content and experiences across sports, entertainment, lifestyle and culinary to help clients attract and engage passionate audiences by leveraging our expertise in Sponsorship Consulting, Experiential Marketing, B2B Hospitality, Content Marketing, Productions and Property Creation. Among other noteworthy wins, during the 2017 Playoffs, Rangers Town Live earned 2.4 million impressions and 133,000 engagements, and was able to add 9,000 new names to its database through Rangers Town Square activations. Users of Red Bull TV rated it best-in-class among apps in the category, with a rating of 4.9 stars on Apple App Store, 4.3 on Google Play Store, and 4.3 on Windows Store. Resistance Radio is a fictional radio broadcast from the Neutral Zone, as depicted in the show, “The Man in the High Castle.” 250,000 listeners consumed 2 million minutes of branded audio in the first three weeks of the show’s existence, and it has created a revenue stream from album sales and become part of the TV show’s storyline. 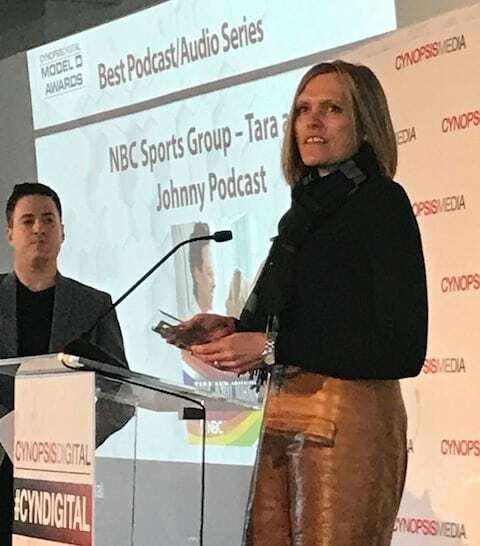 NBC Sports Group collaborated with Stitcher and Apple Podcasts to maximize The Tara and Johnny Podcast’s audience. The podcast generated the second-most subscribers of any other NBC Sports Group original podcast. “24 hours of reality: The Road Forward” was a revolutionary global, multi-platform program created to be experienced live around the globe—uniting the world for a 24-hour talk about the reality of climate change and how we can work together to fix it. From classic comedy to original drama to anime, Sony Pictures Television Networks’ Crackle curates a collection that always feels fresh. Turner’s first domestic direct-to-consumer venture for film buffs, FilmStruck houses the largest streaming library of both classic and contemporary art-house, indie, foreign, and cult films and is the only service with streaming rights to the Critereon Collection. Carnival Cruise Line, in collaboration with Spike, created co-branded, uplifting videos featuring fan-favorite Lip Sync Battle champion Gregg Sulkin that hit just the right note. Cuervo and Comedy Central started a digital series to promote the first Comedy Central comedy and music festival, Colossal Clusterfest. The three-part faux documentary generated 4.9 million social impressions and 1.5 million video views. In 2016, WE tv created a new Goo Ru Style sponsorship opportunity with the goal of creating an innovate, branded series for Black Radiance. Now, as the most watched web series on WE tv, the show has been viewed more than 1.5 million times. On WWE’s Youtube channel, fans can watch highlights from matches, find original content, and watch live-streamed content from WWE’s biggest events. Since its launch in May 2017, the channel has generated more than 16 million views. “My Son/Daughter is a WWE Superstar” focuses on the embarrassing interactions between glamorous WWE Superstars and their parents, showing a new, approachable side to fan favorites. The“Paw Prints” episode, “Walter and His Little Girl Julia Share an Incredible Bond,” explores the adventures of a little girl who was born deaf and her dog Walter, also deaf, as they learn to communicate with each other. The episode went viral on the Pasadena Human Society’s social media, earning more than 645,000 views. “Game of Zones” melds the NBA and “Game of Thrones” by pitting NBA legends against each other using plot points and dialogue from the HBO hit. Now in its fourth season, the show has been viewed more than 70 million times across different platforms. Bleacher Report produced a poignant video account of the life of New England Patriots’ player Nate Ebner, who before his father was tragically murdered, promised him that he would try to make the NFL. The video and has been viewed 6 million times. Boingo Media provides advertisers with a safe-investment opportunity thanks to the platform’s 100% viewability with zero fraud and zero bots, and their offer of custom ad formats at different price points. Last March, Boingo Media and La Quinta Inns & Suites partnered to launch the campaign, #WinAtBusiness, which provided travelers with fast, free Wi-Fi. After the campaign wrapped, a study found that there was a 20% boost in brand lift and 71% of people said they would now stay at La Quinta Inn & Suites. In order to attract a new viewership after 14 seasons of “Watch What Happens Live,” Bravo launched a week of Live after shows on five different social platforms. The result was a ratings boost of 8% from the prior 4-week average, and a 13% rise from the 2017-to-date average. Simple, but smart: CobbleCord is a free website and app designed to help people find a streaming destination to fit their personal needs. Users are asked a few simple questions regarding their streaming habits, and a patent-pending algorithm determines the best service for them. Complex’s Sneaker Shopping takes celebs like Kevin Hart and 50 Cent on the hunt for shoes with host Joe La Puma, offering fans a different take on the stars. In the past 2 years the series’ viewership has increased by over 150%. Cool School is dedicated to creating programming that will not only entertain children, but also engage their parents. In 2016, Cool School garnered over one billion watch time minutes. “E! Live from the Red Carpet” is keeping awards show coverage fresh, integrating new technologies like the “E! Glambot” camera to bring viewers even closer to the action. Star Salvation gives eliminated “Food Network Star” contestants the chance to re-enter the competition and continue competing for the title of Food Network Star – and fans the chance to see old favorites again. 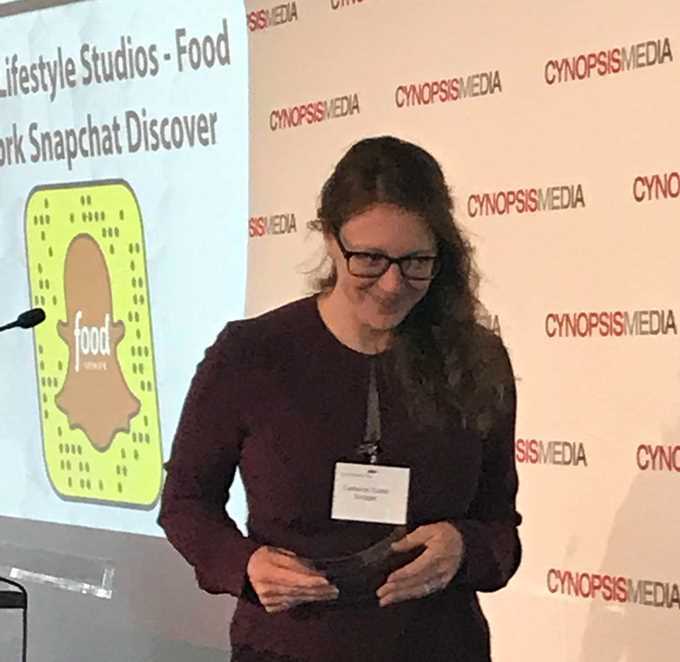 Food Network’s Snapchat Discover platform was built to connect the brand to its millennial fan base. With new material published every day, it has played an integral role in the success of digital Food Network properties in 2017. Social influencer Maria Antoinette contributes creative content for HGTV’s YouTube channel and has helped develop the “Handmade” brand by incorporating her design aesthetic into their projects. The Hunter Street Instagram Campaign built awareness and excitement for a new show, “Hunter Street,” on Nickelodeon. The account produced the #1 Nickelodeon Instagram story in terms of engagement and reach, ultimately helping the show get picked up for a second season. #WatchPartyIBM was created to address the lack of social conversation and acknowledgment around IBM’s role in the Tony Awards viewing experience. That changed with #WatchPartyIBM, an event for select NYC influencers that helped generate 2,100 unique IBM and Tony Awards conversations. NBC Sports Digital is a division of NBC Sports Group that focuses on web traffic and streaming metrics across each of its 15 websites and 13 apps. This past year, NBC Sports Digital sites generated more than 5.5 billion page views, and the NBC Sports app registered 6.4 billion minutes, a 228% increase since 2015. Social experiment Moms Undercover, promoting the launch of Yoplait’s #Momon campaign, used a hidden camera video series to prove that moms really do have each other’s backs. The series exceeded all content performance metrics and benchmarks, ultimately drawing in 2.6 million total social views in 3 days. To promote the release of the 2016 Toyota Camry, One Solution arranged for hip-hop artist Jidenna to hold a surprise concert, shot as a 360-degree virtual reality live stream, then mailed free VR headsets so people who went on a Toyota Camry branded destination online could experience the concert. The PGA was the first sports league to stream “360” live to Twitter; the stream was used to gauge interest among fans and sponsors in VR streaming. The result: PGA Tour has since decided to offer more live VR in 2017 and 2018. The Red Bull TV Facebook Messenger Bot was created to market ‘The Road Trick,” a new series. Users texted the bot and were taught a magic trick, then given a link to view the trailer of the show. It worked like magic – 25% of users watched the premier. The Art of Ink offered Spike viewers information about tattoos, designed to attract both long-time Ink Master fans and new viewers to the series premiere. The Art of Ink generated more than 1.3 million episode views across Spike.com and YouTube. In order to generate excitement about season 2 of Syfy’s ‘The Expanse,” a 4-minute, VR experience allowed viewers to fight alongside Martian Marines on Mars. Videos garnered over 180,000 views on YouTube. Mini-film series “Music in Motion” by One Solution conveyed Toyota’s dedication to finding new ways to creatively impact culture. In the videos, pioneers from the visual art world were paired with musical innovators to create an art piece. The WWE Network was the first 24/7 direct-to-consumer network delivered directly to fans and averaged more than 1.63 million paid subscribers through the second quarter of 2017, a year-over-year increase of 8%. 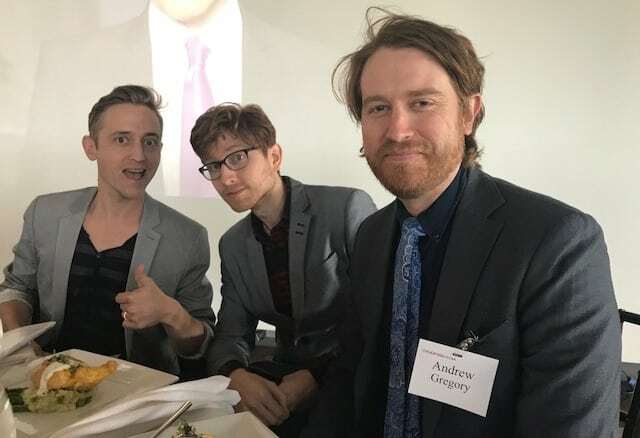 As Creative Director at Advantage, Jared Blitz has led impactful creative efforts like Microsoft’s Special Olympics global campaign, which included the production of over 100 pieces of original content and reached over 66 million people worldwide. Spearheading Authentic Entertainment’s digital initiative, VP of Multiplatform Content & Partnerships Nneka Enurah oversaw the expansion and diversification of the company’s offerings, including Authentic’s first premium mid-form series to be distributed on a mobile platform. 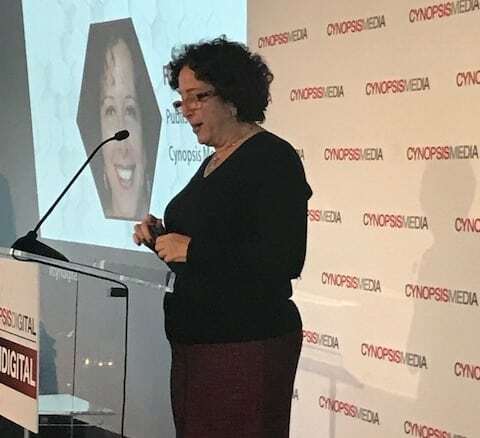 As Chief Marketing Officer at Boingo Wireless, Dawn Callahan’s accomplishments include helping to launch Wi-Fi and IPTV products for the United States military to provide troops with high-speed connectivity digital TV. CEO and Founder Shahrzad Rafati has grown BroadbandTV into the third largest video property in the world, generating 27.7 billion monthly impressions and boasting 268 million hours viewed per month. Harry Arnett, SVP of Marketing at Callaway Golf, created an internal newsroom of editors, writers, and producers allowing Callaway to keep a consistent flow of content. He’s also the co-creator and host of Callaway Live, a live stream featuring interviews with special guests. 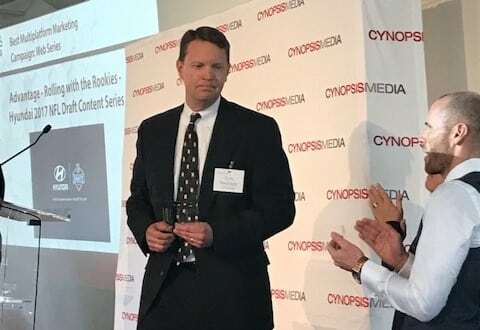 As EVP of Digital at Sony Pictures Television Networks and General Manager at Crackle, Eric Berger has helped Crackle become the leading OTT, premium ad-supported network, creating 120 episodes of original programing in under two years. 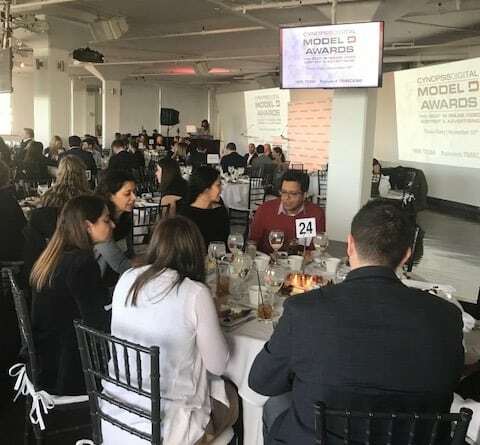 SVP and Group Account Director at DigitasLBi, Julie Blanche, has spearheaded campaigns for Dunkin’ Donuts, Baskin-Robbins, CVS, Baxter, and PUMA, leading her team with creativity and drive. 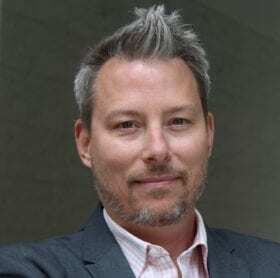 As Director of Multiplatform Research and Emerging Measurement at Disney-ABC Television group, Brian West is responsible for the full DATG portfolio. He has been at the forefront of the Total Audience Viewership movement, working with measurement companies to expand their capabilities. Andrew Sugerman, EVP of Publishing and Digital Media at Disney Digital Network and The Walt Disney Company, created the Disney Digital Network in 2016 by combining Disney’s key digital media assets, content development, and production capabilities into one offering to reach an extremely specified global audience. 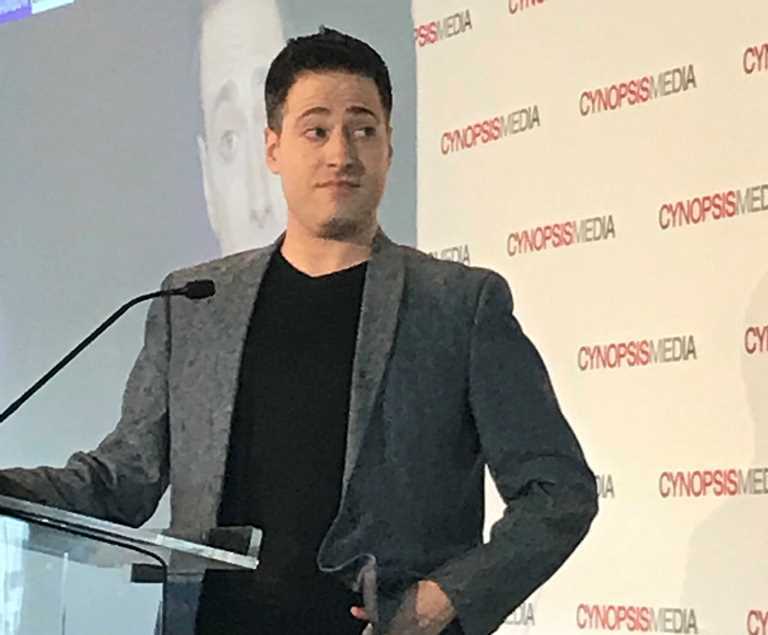 Cory Gottlieb, SVP of Content and New Media at DraftKings, is dedicated to finding new digital avenues for connecting sports fans to the athletes they love and has launched key products which have generated thousands of new DraftKings users. SVP and Editor in Chief of E! News, Romina Rosado, oversees a content strategy that has made it possible for E! News and its digital properties to rank as leaders in the news and entertainment sector. John Najarian, EVP and General Manager at E! Entertainment, is in charge of the “E! News” brand, setting pop culture tends and conversations on all screens globally. Sara Axelbaum, SVP of Client Services and Advanced Ad Products for Fox Network Group, uses ingenuity and skill to develop the most effective strategies for digital ad sales and measurement across all platforms. VP of Social Intelligence for Horizon Media, Alison Kalis, leads the Distillery, Horizon Media’s social intelligence practice. Kalis’ leadership has allowed this team to become an important part of Horizon Media’s strategic planning and activation process. 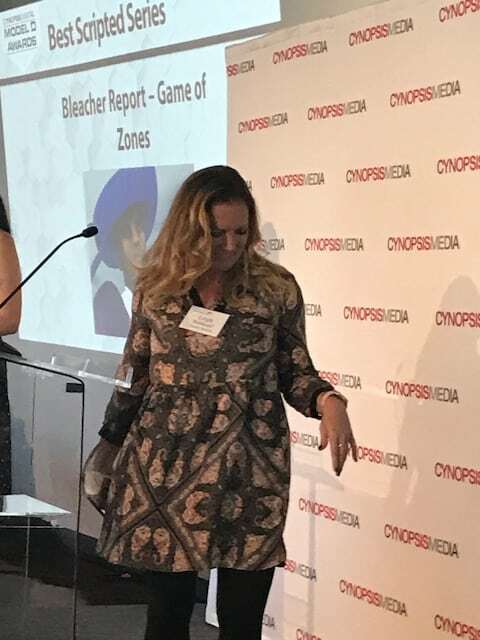 Katie Comerford, SVP of Digital Media for Horizon Next, has helped to secure business wins such as Altice, Atlantis, and Safelite and has worked to connect business needs to digital strategy and activation. Kim Granito, the SVP of Digital Media and Integrated Marketing at IFC, supervises IFC’s multi-platform-partnership marketing, digital communication strategy and positioning in the advertiser marketplace, playing a key role in defining IFC’s brand across platforms. President of Insights, Research, and Data Analytics at iHeartMedia, Radha Subramanyan develops and manages an expansive range of data and research efforts involving digital analytics, ratings and measurement, programmatic projections and ad sales research. 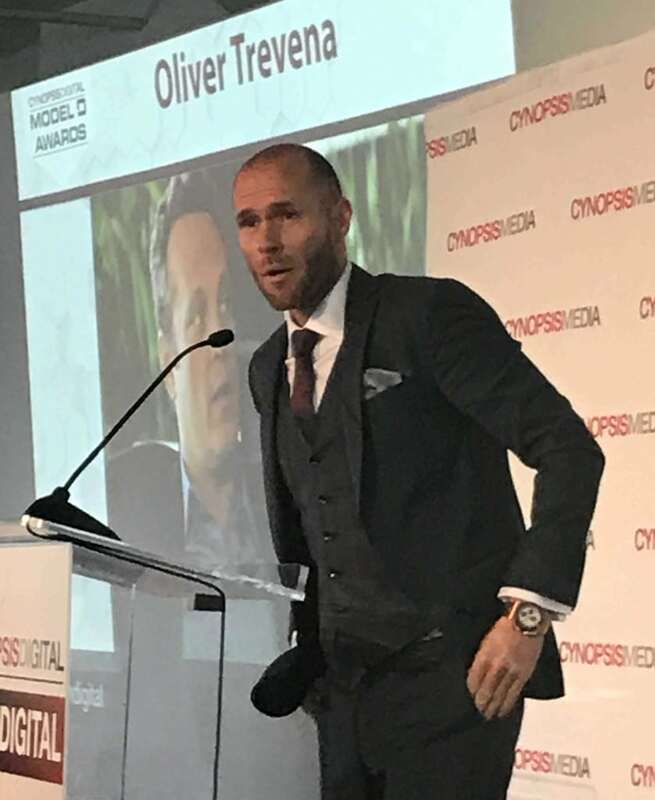 Eric Day, Executive Producer and Managing Partner at INE Entertainment, co-founded INE Entertainment in 2011 and works with the likes of James Franco, Tiesto, Melvin Gregg, and Hayes Grier. 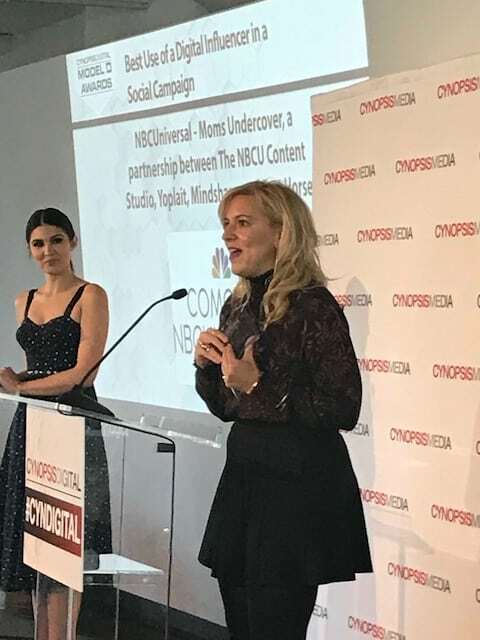 Since Samantha Adorno Phifer’s appointment as VP of Digital Marketing for INSP, the number of followers on each of the network’s social media platforms has increased dramatically, and the company website’s monthly visit count has increased by 107%. President and COO of Jukin Media, Lee Essner has driven the growth of Jukin from 20 employees to 165 employees, also increasing the company’s revenue 15x. 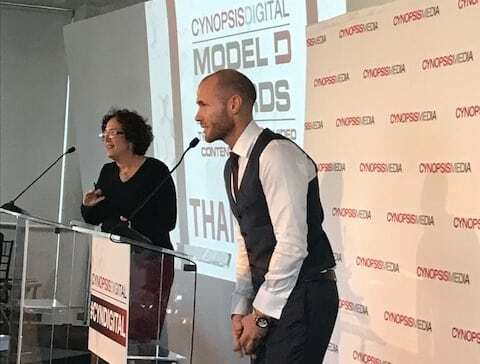 Brian Cavallaro, Chief Creative Officer of MANDT VR, is an Emmy award-winning director and producer who was among the first to understand the possibilities presented by immersive media and who helped launch MANDT VR in 2015. As Head of Advanced Analytics and MediaCom, Rachel Brook utilizes an engagement scoring methodology that can predict business results. She is dedicated to bringing measurement to life for her MediaCom clients. Nazanin Jazayeri, Director of Marketing Sciences for the North American branch of Mindshare, has been instrumental in helping grow and train Mindshare’s Marketing Science team in New York and is now doing the same for the Chicago group. With Managing Director Tim Clark Clark at the helm, NASCAR Digital Media received one billion page views in 2016 for the third-consecutive year, 57 million unique visitors, and the NASCAR mobile app – NASCAR Mobile – was downloaded over one million times. Melissa Schneider, EVP of Originals and Development for New Form, has a special talent for finding fresh, new artists whose work translates well on either social or more traditional platforms. 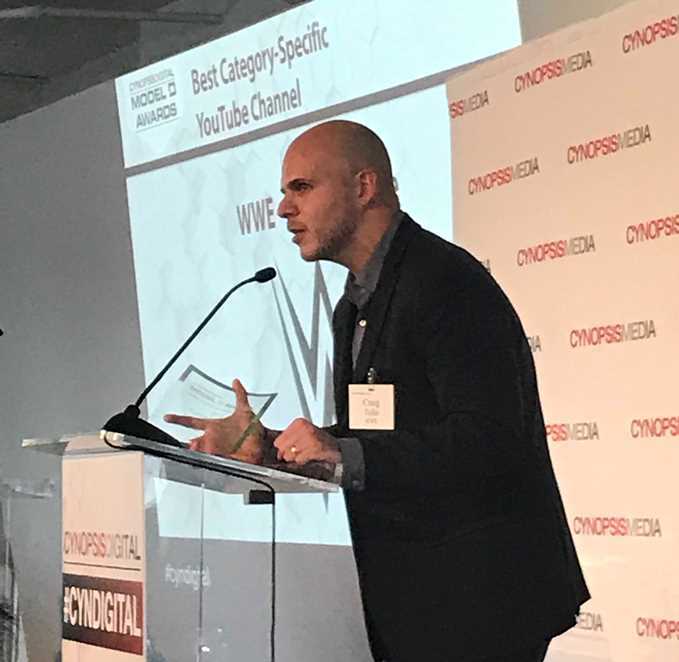 President of one2one Media, Michael Bologna created and scaled addressable video capabilities with Multichannel Video Programming Distributors, benefitting advertisers who want to reach highly specified audiences. Bologna has worked with more than 200 brands. Dan Goman, turned his OTT startup, OWNZONES Media Network, into a global company in less than three years, putting OWNZONES ahead of the tech curve with a cloud-based multi-platform delivery system that is completely IMF capable. 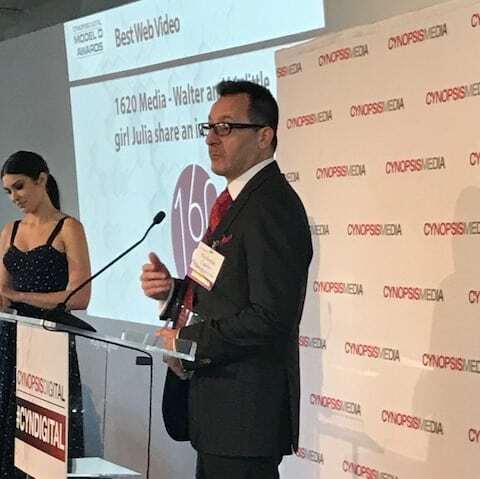 Nicholas Caprio, Chief Content Officer at Pilgrim Media Group, has supervised production of each program since he joined the Media Group in 2012, and was also integral to the creation of Pilgrim Media’s in-house digital media brand, 1620 Media. Chris M. Williams, Founder and CEO of pocketwatch.com, understands how to unite traditional storytelling and recent advancements in digital technology, a union that seems positioned to revolutionize kids entertainment. J.R. McCabe, Chief Digital Officer of Poker Central and eSports Production, led the launch of the first and only streaming service in the world of poker: PokerGO. As the SVP and Head of Digital Marketing at Rogers & Cowan, Craig Greiwe has been able to address the desire for digital marketing of their brands and clients, earning their confidence by ensuring that the process is communicated in terms they understand. 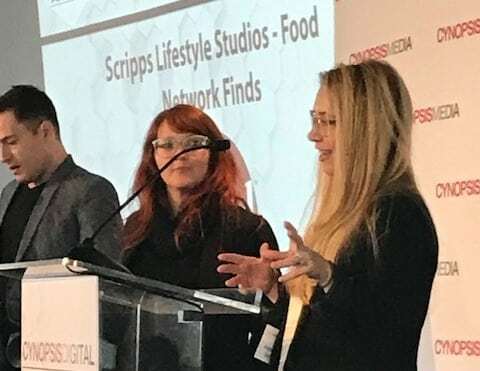 SVP and GM at Scripps Lifestyle Studios Vikki Neil develops competitive mapping for digital strategy in food, home, and travel, working directly with HGTV design ideas, Food Network recipes, and smart Travel tips to ensure that they are accessible on multiple digital platforms. Alec Kinsky, Business Development Manager of SportsEngine, has created sites focusing on specific sports segments, which streamlined the process of targeting demographics for sales and marketing. Scott Barton, the SVP of Branded Digital Content and Products for Starz, creates and discovers new products and uncovers business opportunities for Starz to take advantage of new, still evolving platforms. Veronica Zelle, the Co-Founder and Chief Creative Officer Sweety High, works to ensure that her company provides an empowering space for strong young women. Frank Kavilanz, SVP of Social Strategy and Solutions for Turner Ignite for Turner, combined his team’s data-driven approach with the more open-ended approach of the Content Partnerships and Ad Sales teams, and created new social revenue for almost all Turner properties in 2016. Stacy Daft, General Manager of Enterprise Business Development at Videology, aids AT&T, Fox, Bell Media, Rogers Media, and Univision Communications in the development of their TV advertising strategies. The efforts of Andrea Macey, VP of Digital Media & Business Development for WE tv, to use digital media to send viewers to the linear network while increasing engagement online, have helped WE tv earn its highest numbers in primetime in the history of the network. An expert at tapping the space where code and culture collide, Tricia Clarke-Stone, Head of Brand Studio, WP Narrative_, is redefining storytelling by mining talent, tech and date for breakthrough solutions. Jayar Donlan, EVP of Digital & Social Content for WWE, uses platforms like WWE.com, Facebook, Twitter, Instagram as innovative tools which can be used to create a complete sports and entertainment experience. President of Zenith USA, Sean Peters, manages over $11 billion in investments and 1,500 team members across the nation while maintaining and strengthening relationships with clients.